Stop!!! Don’t buy the messy plastic Easter grass. Try some of these green alternatives. 1. Shredded paper. You can let your imagination run wild with what paper to use. Some ideas are newspaper, used wrapping paper, magazines, tissue paper, junk mail and the list goes on and on. If you have a paper shredder, you can simply run the paper through and ta da! 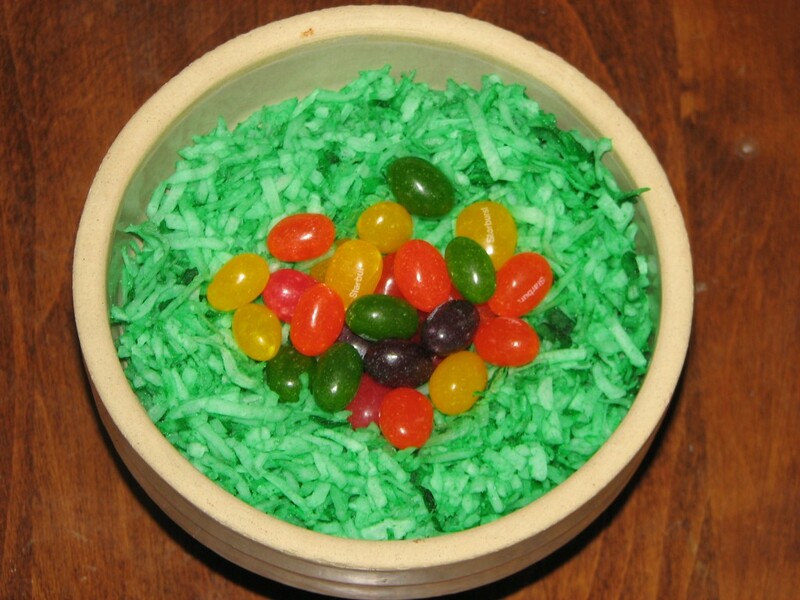 you have easter grass. If not, you could use scissors or a paper cutter to cut skinny strips. 2. Raffia. Raffia comes from the leaves of a large palm tree. 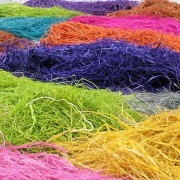 The fibers are dried and can easily be dyed and then used for crafts. 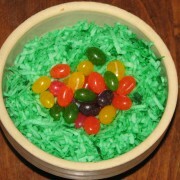 It makes a perfect alternative to Easter grass. You can easily find it in most craft stores. 3. Green coconut. This would be a great choice for your Easter table. 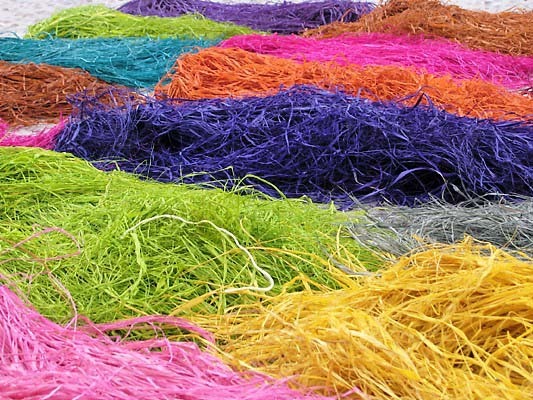 It is easy to dye shredded coconut. Place the coconut into a small paper lunch sack. I recommend double bagging to avoid a mess. For 2 cups of coconut, I added about 7 drops of green food coloring. Now hold the bag close and shake to mix. Check your progress and add more coloring if you would like your coconut to be a darker green. 4. Softies. 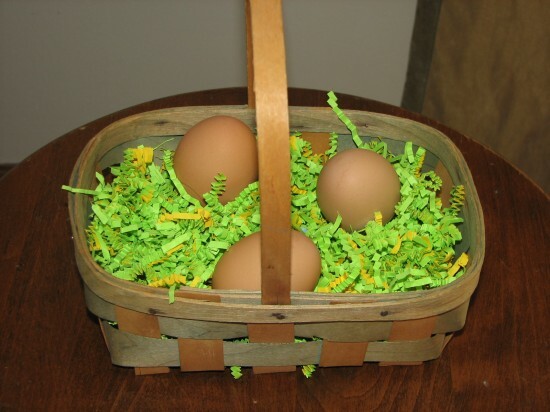 If your Easter basket is part of a gift, skip the grass all together and consider using a fabric basket liner, cloth napkins, pajamas, gardening gloves, or anything that could act as an attractive cushion for the bottom of the basket. 5. Greens. Use Kale or other leafy greens. 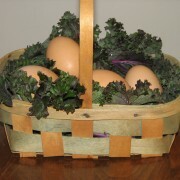 Kale can be bought in the the produce section and looks great in an Easter basket. 6. 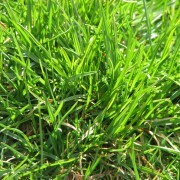 Grow your own Easter grass. This is my favorite idea and perhaps the most fun. I am also very amused that my alternative to plastic Easter grass is REAL grass. You will need to start the grass ahead of time. 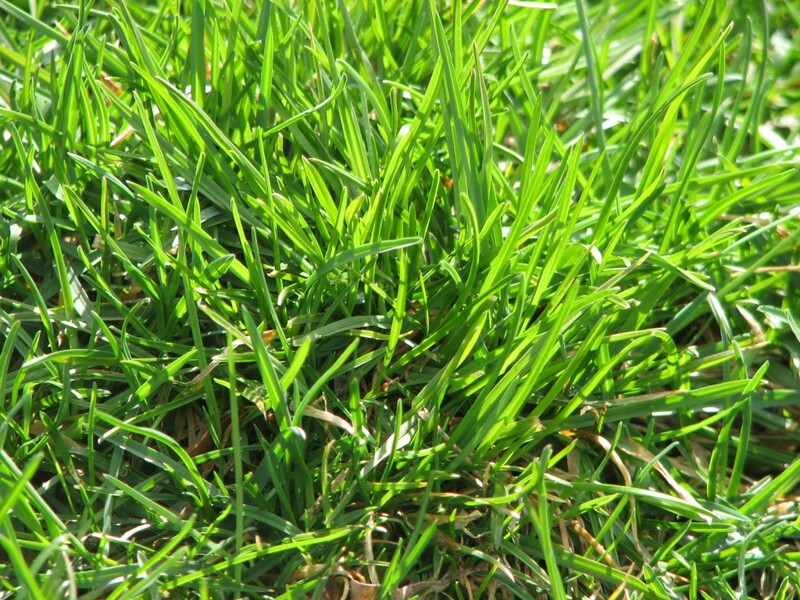 It will depend on the type of grass you use and its germination time (usually around 10 days). I recommend wheat grass but you could really use whatever grass seed you have available. Use a small container that will fit into the bottom of your basket. Cover the bottom with 2 inches of potting soil. Sprinkle with seeds and then gently cover with a thin layer of soil. Keep soil moist but not soggy and place in a sunny spot. 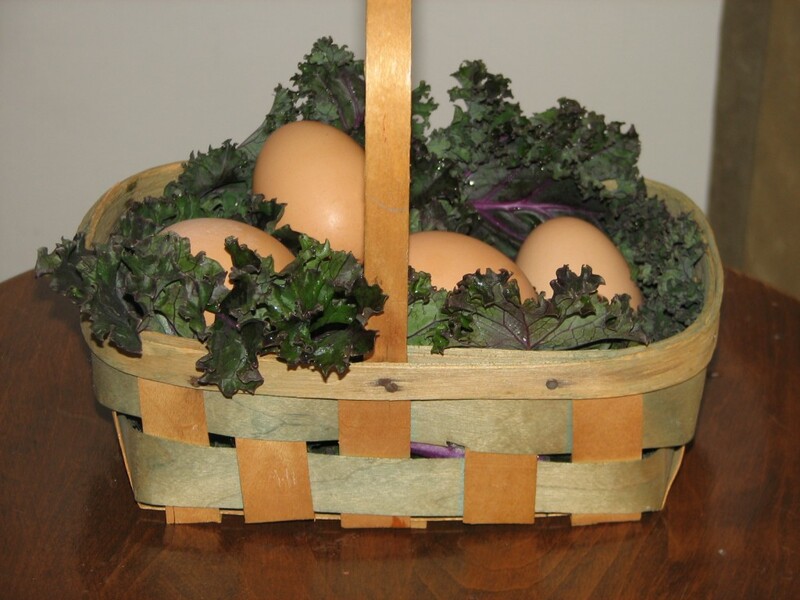 If you are reading this and Easter is tomorrow then try your local market. You can buy already growing wheat grass in the produce section of some grocery stores.